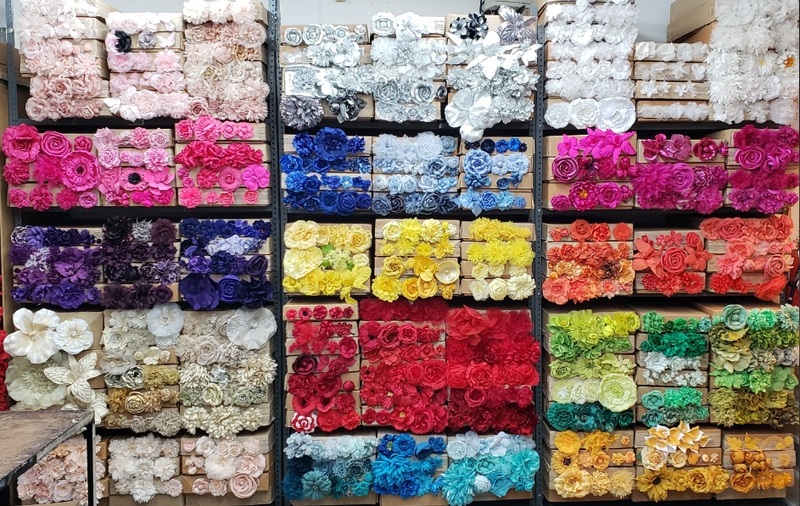 Join us for our Fabric Flowers Sample Sale with up to 50% off on our entire wholesale stock and showroom samples! You will find stunning bridal flowers and bouquets, millinery blooms, men’s lapel flowers and even Valentine’s Day Silk Roses at great prices. Tuesday, January 22nd through Friday, January 25th from 9AM to 4PM. We are located at 242 W 36th St. on the 7th Floor in New York City. Online orders are also welcome! Available styles can be seen on the retail section of our website and you can use coupon code SCHMALBERG for 15% OFF all week! For custom wholesale inquiries, please contact us.